A Monoecious climber found throughout India often under cultivation upto an altitude of 1500 meter. Fruit are 5-25 meter long pendulous, fusiform. ribbed with numerous tubercles. Plant is cultivated throughout India as a vegetable crop. The fruit through bitter is wholesome and esteemed as vegetable when young; it may be sliced and preserved after drying for use in the off-season. Plant I Fruit used from Anti diabetic, Carminative, Tonic and Liver complaints. 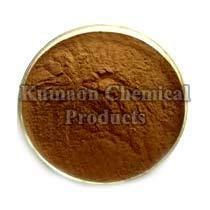 Description Dark brown to Dark brown colored powder having characteristic odour & taste. Others grade of 8% Bitters is also available.